For William and Sarah, based on their current salary level and super balance, 10 years later the money accumulated in super fund is enough for their retirement goal including the net income accumulated. So we suggest that they should be fine with the amount under Superannuation Guarantee Scheme (9.25%). Having a high level of income standard, the couple can hardly meet the requirement of accessing the aged pension. Under the income test, the pension payable is calculated as $1,133.2-($7002-$276) x 50%= -$2,229.8, which means they cannot get any amount of money. Estate planning usually demonstrates and help individual to decide whether you require the preparation of a more complex will incorporating testamentary discretionary trusts, amendments to your family trust deed or self-managed superannuation fund and a formal estate planning strategy document. Superannuation plays an important role in Australia since there is a growing aging problem out there, and it is also a useful tool to help people save more money by earning returns and being entitled to a lower tax rate. In addition, William and Sarah’s long-term goal is to achieve longer-term higher returns. As mentioned in the customer profile, they are allowed to borrow for $250000 for investment. Their SG rate is 9.25% from their income and also the super fund earning rate is 6%. Given all these information, we can calculate their superannuation balance accumulated. The salary sacrifice strategy applied for superannuation is described in two kinds. One is concessional contribution and the other one is non-concessional contribution. For their untaxed income, it can be directly added to the amount of money contributed by employers at rate of 9.25% and still be charged at 15% tax rate but the limit is $25,000 each year per capital at 59 or under and $35,000 each year for one person at 60 or above. However, the non-concessional contribution allows them still use their after tax income to put into super $15,000 per year or it can also work like a lump sum for a three year period time allowing them to put $45,000. Our recommendation is that salary sacrifice could be an option for William and Sarah family. 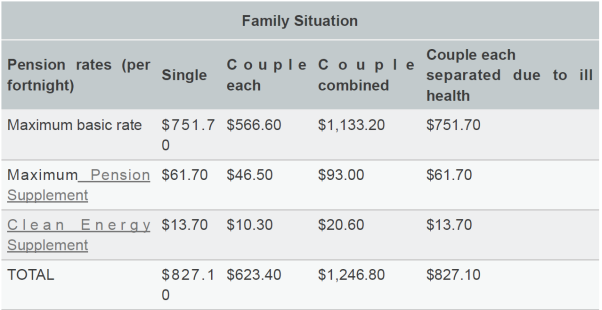 Since this family has a net annual income of $158000. It indicates that even the most conservative way to accumulate the money is quite enough to meet their retirement plan. They can use the net income to invest in some high return market with high risk and maybe to pay off their home mortgage. A capital gain on investment held by the fund for longer than 12 months can receive a 1/3 discount to 15% rate (10%) when they decide to put the money into the super. There are a lot of superannuation funds in Australian. The major providers could be corporate, industry, public sector, retail and small superannuation funds or self-managed fund. However, the case has already assumed that the earning rate is from 6%–7%. There is no need to recommend which one to choose. Mostly, it was already appointed by the employers or you can actually name your own super fund and inform the employer. For William and Sarah, their family income is rather above the average level, so actually there are few benefits that will be applied for them. However, only meet the age requirement is not enough. As an aged pensioner, you must go through the assets test or income test. ! A reverse mortgage is a complex product that can have a significant impact on this family’s finances and relationships, and their quality of life in retirement. A reverse mortgage allows them to borrow money using the equity in William and Sarah’s home as security. The loan can be taken as a lump sum, a regular income stream, a line of credit or a combination of these options. While no income is required to qualify, credit providers are required by law to lend their money responsibly so not everyone will be able to obtain this type of loan. Interest is charged like any other loan, except they don’t have to make repayments while they live in their home the interest compounds over time and is added to their loan balance. They remain the owner of their house and can stay in it for as long as they want. They must repay the loan in full (including interest and fees) when they sell home or die or, in most cases, if they move into aged care. William and Sarah home is valued at $550,000 but they have a mortgage (principal and interest) of $105,000 remaining (at 5.88%) the loan is expected to be paid in 10 years. Their monthly mortgage payments are $1,159. The aim of estate planning is ensuring your estate is passed onto your beneficiaries in a most effective and efficient way for both financial and tax aspects. By this you can get the most use of your assets when you are alive as well as maximize the amount you left for you beneficiaries. When death and estate duties exist, the estate planning will be used to manage taxes like capital gains tax and so on. According to GWM Adviser Services Limited (2009), for most people who have money in superannuation and a reasonable level of assets, it is significant worthy to consider about it. William and Sarah’s current situation is that they both are healthy and active yet with two independent children. In order to avoid a family squabble or a complicated legal process, it is better for them to set up an effective estate plan. We suggest them to visit the solicitor as well as an appropriate legal professional to discuss about the specific details of their estate allocation. What we can do is discussing some certain matters and providing guidance and further information to you. A copy of the financial plan can help them and their solicitor understood the situation better and makes everything easier. The first and the most important item that both of you need to discuss and decide is their wills. The will, as was mentioned by Wealth Counsel (2012), is the document that directs how your estate is to be distributed amongst your nominated beneficiaries. Dying without a will or an invalid will is known as dying intestate. If it happens, laws which are different in each state will be applied to determine how your estate will be administered. This may lead to an unwillingly result of the distribution of your assets which may against your wishes as well as incurring unnecessary tax liabilities for your beneficiaries. Many people may wrongly thought that all their assets are included in their wills, so we should take special care to ensure that all your ownership and control of all your assets including ‘non-estate’ assets are passed to your beneficiaries in the way you wanted. To draw up a valid will, we have to make sure that the will is made in accordance with relevant law, it is made by a person over 18 years old, and an executor is required to be nominated who will carry out the duty of look after and distribute the assets and is willing to take this role as was told about where all the documents are kept. Your executors may also be your solicitor, accountant or a public trustee. You should be careful and fully considered when appointing your executor as he or she will granted the power of arranging assets, paying debts and distributing estates. When focusing on your current situation, it is necessary to appoint an inheritor for your assets and estates. As you have no child or spouse but a sister and you love her son as your own son, we suggest you to name your nephew as your inheritor so that he can take care of you and take the responsibility of carrying out your wishes. By the way, a reasonable will can helps to protect your assets, but there are some kinds of assets that will not be transferred under a will. In the following sections, some items other than your will that worth considering in the estate plan will be stated. Superannuation is an asset excluded from your will. All the payable benefits are distributed by the Superannuation Trustee according to the Trust Deed. It is recommended to nominate a beneficiary of your superannuation savings. If the nomination is binding validly, the trustee will pay to them. If not, the trustee will determine who should be the beneficiary. For example if you have no child or spouse but a nephew who you love him very much, he should be nominated as the beneficiary of your superannuation. However, if any doubt appeared relating to him, your superannuation fund trustee will transfer your proceeds to your estate. What’s more, superannuation benefit may be affected by tax fairs. So we recommend you to discuss this with your solicitor. The power of attorney means you legally appointed a person/organization to act on your behalf including sign documents make decisions and some other matters. There are three types of power of attorney: limited power of attorney (you can limit the actions that the attorney can perform), general power of attorney (wide power is given to attorney) and enduring power of attorney (power of attorney can continue life-long). A law related to this is different in different states. This person/organization will hold the power until you died unless you revoke it. You should be careful when deciding grant a power of attorney to some person/organization. Who should be the attorney is an important issue and this should be discussed with your solicitor. For Anna, based on her current salary level and super balance, 37 years later the money accumulated in super fund will be $767547.41But for next 5 years, we suggest that she should not contribute more than the amount under Superannuation Guarantee Scheme (9.25%), for the reason that she still has a short term goal of acquiring her first residential house but with little money on hand. It is better for her to invest some fixed income products to enhance the liquidity of money. In Anna’s future, she might get married and form a family. She probably will be entitled to some governmental assistance. Here we recommend Baby bonus and child care benefit and also aged pension. It could help her to arrange the living and income strategies. This part generally talks about the condition and potential benefits of having an estate planning, such as eliminating the family squabbles or effectively protecting the beneficiary’s needs, or having tax deductions. So Anna’s total super balance will be $767547.41. The strategies within superannuation are salary sacrifice and capital gain discount. The salary sacrifice strategy applied for superannuation is described in two kinds. One is concessional contribution and the other one is non-concessional contribution. For their untaxed income, it can be directly added to the amount of money contributed by employers at rate of 9.25% and still be charged at 15% tax rate but the limit is $25,000 each year per capital at 59 or under and $35,000 each year for one person at 60 or above. However, the non-concessional contribution allows them still use their after tax income to put into super $15,000 per year or it can also work like a lump sum for a three year period time allowing them to put $45,000. Otherwise, she will be charged tax at 46.5% tax margin for the exceeded portion. Our recommendation is that salary sacrifice could be a bad idea for Anna. Since Anna only has a net annual income of $90000, and she also plans to buy her own home; it is very unwise to further reduce his money liquidity. The super balance, when he reaches 65, $ 767547.41 indicates that even the most conservative way to accumulate the money is enough to meet her retirement plan. Instead of sacrificing her limited salary into super, he can use the net income to invest in fixed-income products with average risk and maybe to pay off their loan or debt in advance or to purchase his first home with a governmental subsidy First Home Owner Grant–$7,000. Social security represents the multitude of decision taken by communities through the political process to provide a level of care and assistance to people in society who need help. Over time, the range of benefits provided by Australian society has been extended dramatically. For Joshua, his income is rather above the average level, so actually there are few benefits that will be applied for them. ! However, only meet the age requirement is not enough. As an aged pensioner, you must go through the assets test or income test. Considering Joshua’s future, he will form family or get married. And it should be included in her plan. The baby bonus is paid to parents with the costs associated with the birth or adoption of a child. The payment is income tested but not subject to an assets test. Claims must be made within 52 weeks of a child’s birth or coming into claimants’ care. The payment is paid in 13 fortnightly instalments. Child care benefit is paid to parents who use approved or registered child care. Approved child care is normally offered by long day care, family day care. Anna is a young lady; however, if she wants to plan the retirement, he can use the reverse mortgage to get a lump sum or an income stream. A reverse mortgage is a complex product that can have a significant impact on this Anna’s finances and relationships, and her quality of life in retirement. A reverse mortgage allows her to borrow money using the equity in Anna’s home as security. The loan can be taken as a lump sum, a regular income stream, a line of credit or a combination of these options. While no income is required to qualify, credit providers are required by law to lend his money responsibly so not everyone will be able to obtain this type of loan. Interest is charged like any other loan, except he don’t have to make repayments while he live in their home the interest compounds over time and is added to his loan balance. She remains the owner of her house and can stay in it for as long as she wants. She must repay the loan in full (including interest and fees) when she sell home or die or, in most cases, if she move into aged care. "Retirement Plan Essay." UKEssays.com. 11 2018. All Answers Ltd. 04 2019 <https://www.ukessays.com/essays/economics/retirement-plan-essay-9537.php?vref=1>. "Retirement Plan Essay." All Answers Ltd. ukessays.com, November 2018. Web. 22 April 2019. <https://www.ukessays.com/essays/economics/retirement-plan-essay-9537.php?vref=1>. UKEssays. November 2018. Retirement Plan Essay. [online]. Available from: https://www.ukessays.com/essays/economics/retirement-plan-essay-9537.php?vref=1 [Accessed 22 April 2019]. UKEssays. Retirement Plan Essay [Internet]. November 2018. [Accessed 22 April 2019]; Available from: https://www.ukessays.com/essays/economics/retirement-plan-essay-9537.php?vref=1.